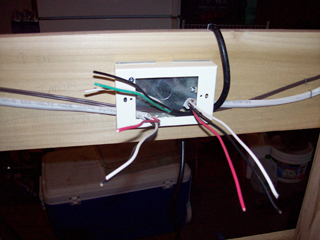 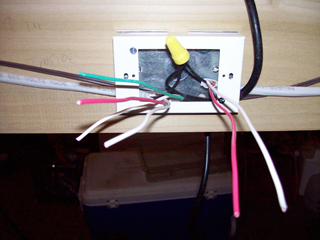 This page documents the wiring phase of the project. While I have wired the fans already and added wire to the bay switches, now I must complete the final wiring of the outlets. 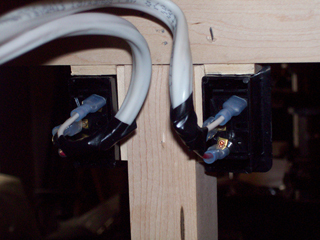 Each bay has a separate outlet which is individually switched. 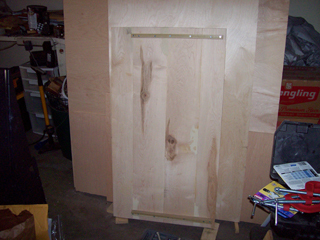 The top was not completely flat, so I added braces to flatten it and to make attachment to the body easier. 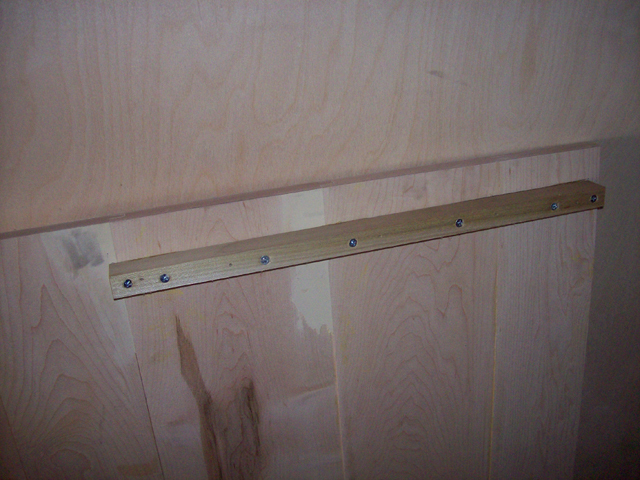 Close-up view of the brace added to the top to flatten it and make attachment to the body easier. 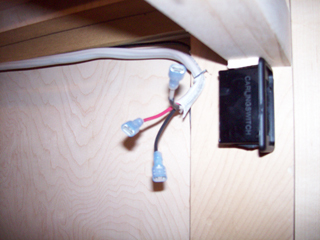 The switch wiring and the power cord ready for installation of the bay outlet. 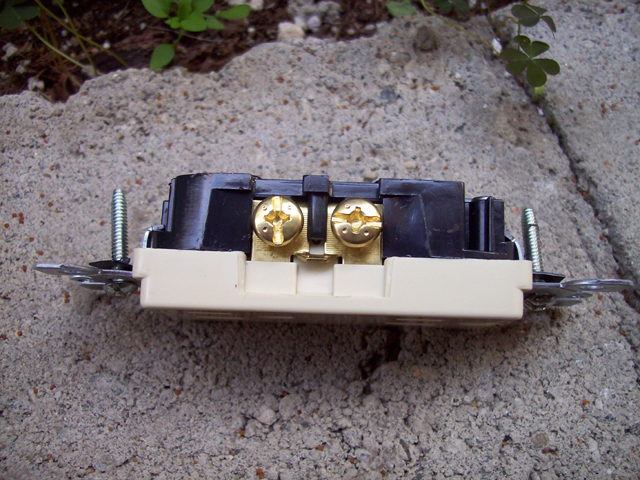 The switch wires are fitted with endings to connect directly to the switch. 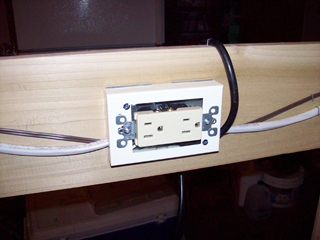 A close-up view of the electrical outlet right out of the box. 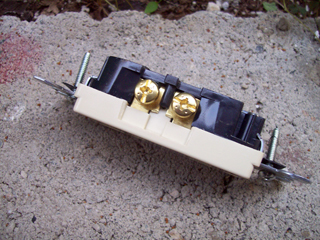 A close-up view of the electrical outlet modified to provide separately switched power. The wires for the outlet prepared for assembly. 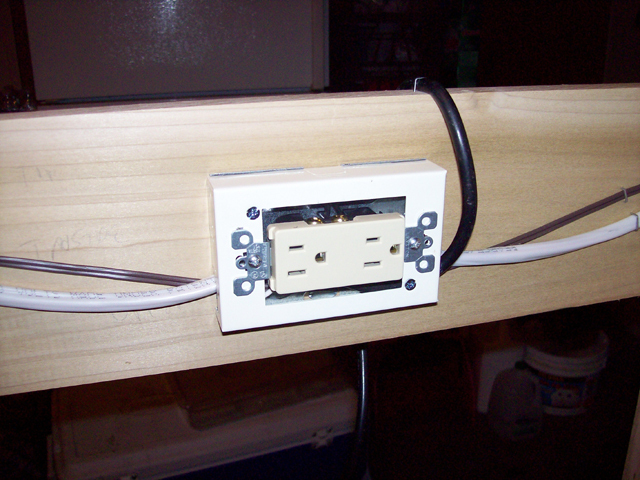 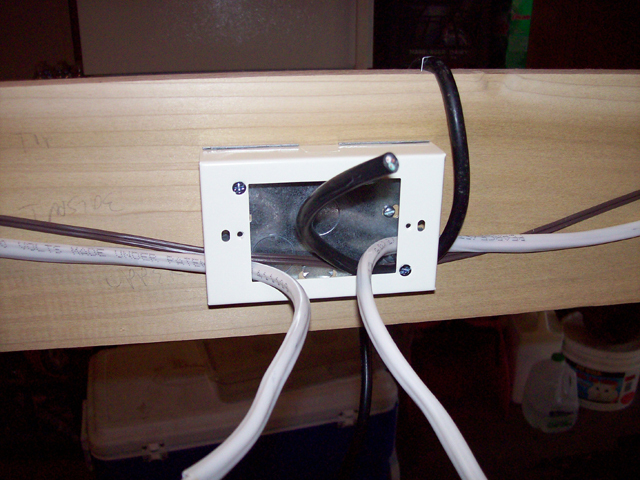 View of the bay power outlet housing with the hot leads connected. The outlet for two bays with the common neutral and the ground connected..
View of the installed outlet for two of the bays, each with a separate switch. 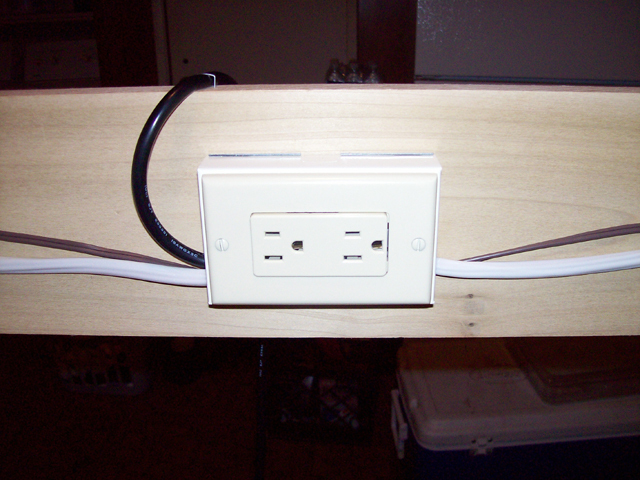 View of one of the outlets that services two bays, each is separately switched. 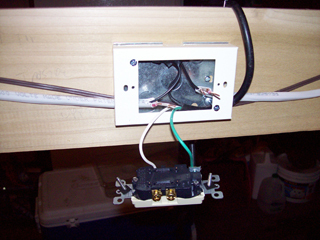 View of two of the switches, fully wired, from the rear.